It just doesn't get any better than this. 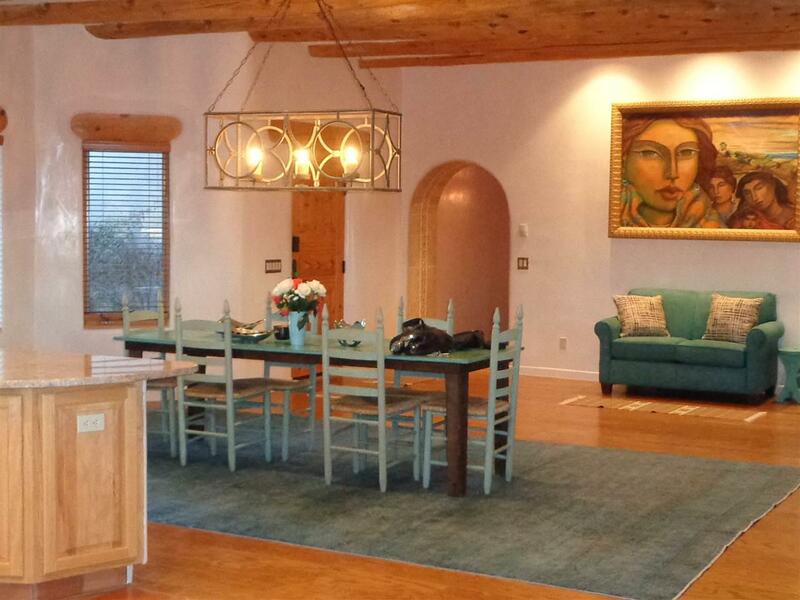 Spacious and grand home with a separate Guesthouse at the Golf Course. 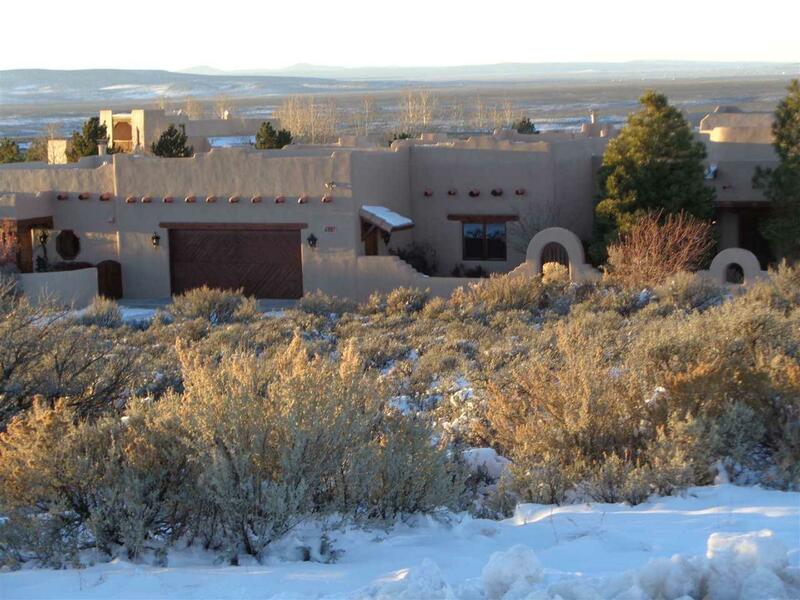 Home sits on 3 acres and is very private and serene. Master Bedroom has a Kiva Fireplace and ensuite bath. 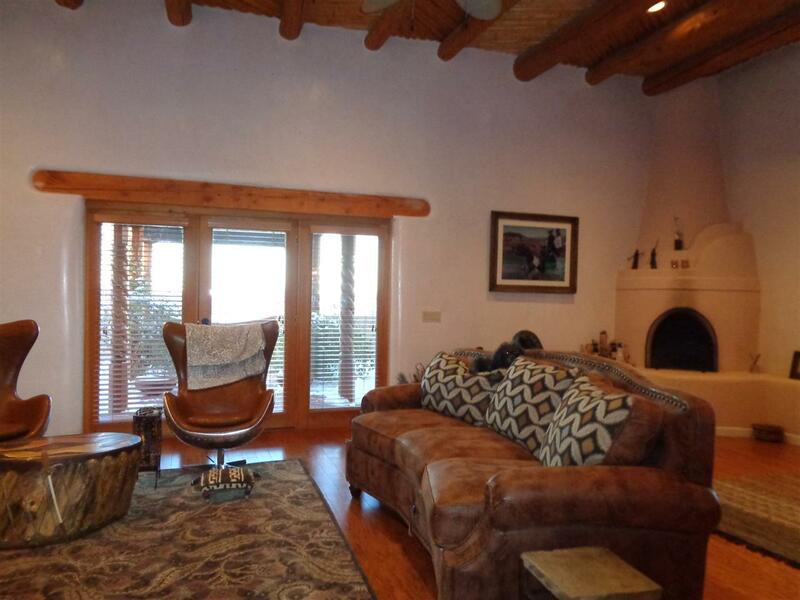 Living room with it's soaring ceilings has a Kiva Fireplace and is open to the dining room and kithen. Large courtyard in front and back of house. Guesthouse has a fireplace in the Living Room, 2 bedrooms and a wrap around courtyard. HOA is $675 per year and billed annually. 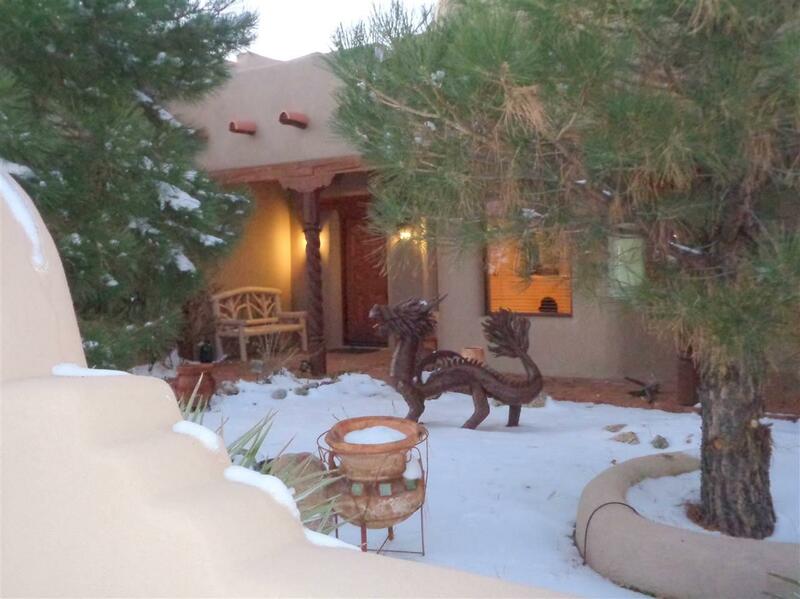 HOA fee maintains gate, landscaping around gate, snow removal and maintenance of roads.